Continuing your education expands your career options, making you more valuable as an employee and staff member. It also sets a good example for your future students. Career opportunities in the recreational dive industry are increasing rapidly, however so is the competition, especially for the most attractive jobs! To maximize your opportunity in the industry you need to be a cut above the average instructor. Instructor continuing education gives you that needed edge, as well as the opportunity to increase your income and expand your own skills. Here are programs that you should take, and certifications that you should work towards completing as soon as possible. This course teaches Instructors how to organize, conduct, market and promote the PADI Emergency First Response Course (EFRI). The course emphasizes hands-on skills practice and demonstrations. We have placed the EFRI Course in between the IDC and IE to give you some additional teaching practice. The EFRI Course is low stress and makes you feel confident and relaxed prior to the IE. With EFR being a vital part of several PADI certification levels (including, Rescue Diver, Divemaster, Assistant Instructor and Instructor Development) it is the one most marketable course in the PADI System of diver education and allows you to offer all-inclusive programs. Students will not have to look elsewhere for the training they need. Since the Emergency First Response course is not diving specific, you can offer this training to all your customers, friends and family. Our EFR Instructor course now includes PADI's new Care for Children and AED program. The most popular Specialty Course worldwide - one day of knowledge development. During this course you will learn how to use your computer with Nitrox, the oxygen analyzer and the benefits of diving with enriched air. All teaching materials and course standards are reviewed. You must be a Enriched Air diver to participate. To become certified you will need a total of ten enriched air dives. 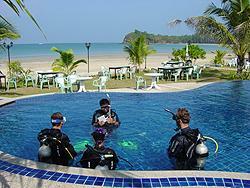 The 10 experience dives can be conducted during the MSDT Course or other specialty dives. The Nitrox tanks needed are included in your Nitrox Instructor course. To learn more about Nitrox Diving, please visit our visit our TEC pages. The most popular Specialty Course worldwide - one day of knowledge development and one day of local diving (2 dives). During this course you will learn how to use the PADI EANx tables, the oxygen analyzer, the benefits of diving with enriched air and be prepared for future rebreather courses. All teaching materials and course standards are reviewed. The actual Enriched Air Diver Course itself is included in the Instructor Course. To become certified you will need a total of ten enriched air dives. 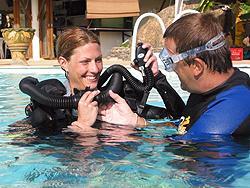 The last eight experience dives can be conducted during the MSDT Course or other specialty dives. The eight Nitrox tanks needed are included in your Nitrox Instructor course. You may already be a certified gas blender, but are you prepared to teach others how to provide gas mixtures? If the thought of becoming a DSAT Gas Blender Instructor interests you, then you will find that the DSAT Gas Blender course is one of the most informative and comprehensive programs in the market today. DSAT's instructional philosophies and course goals directly address the emerging and demanding nature of Nitrox and Trimix gas blending. To learn more about TEC Diving, please visit our visit our TEC pages. This course makes you familiar with the Oxygen unit and includes plenty of practice with many scenarios and background information, emphasizing the importance of early oxygen treatment in case of a diving accident. 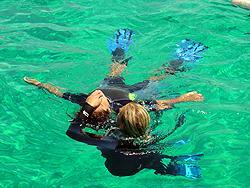 The course reviews course standards, qualifying you to teach the PADI Oxygen First Aid Course. Wreck, U/W Photo, Digital Underwater Photography, Boat, Shark, Drift, U/W Scooter, Deep, Multilevel, Night, Navigation, U/W Naturalist,Search & Recovery, Equipment, Project Aware, recreational side mount, Aware Fish ID and Emergency Oxygen Provider. The MSDT course includes 5 different instructor specialties preparing you towards the MSDT instructor rating. The 5 Instructor Specialty Courses can be selected to meet your personal goals and interests. Please consult us for further details. Similar to the partnership between AIs and Instructors, IDC Staff Instructors work with Course Directors as important team members in the instructor training process. As an IDC Staff Instructor, you may staff Instructor Development programs and instructor-level continuing education courses. You will also be qualified to teach the PADI Assistant Instructor course - a responsibility only you and PADI Course Directors share. The IDC Staff Instructor Course is a prerequisite for the prestigious Master Instructor rating. This course is designed for Divemasters and Instructors intending to work in a resort environment, focusing on the skills and abilities needed for a successful career as a diving professional. We conduct this program all year round and have no fixed class starting dates. Each participant has a different background and therefore different training needs. This means that you may start any time you like and that you'll have a personalized, flexible schedule. Most Dive Centers, especially in tropical diving destinations,have two main sources of income, diving instruction and diving excursions, and often a combination of both. This means that your duties will be both of an instructional and supervisory nature. Tourists in tropical, holiday destinations are often demanding and expect to dive when they want to, where they want to, and how they want to. This requires organization and communication, not to mention excellent scheduling and facility maintenance skills. 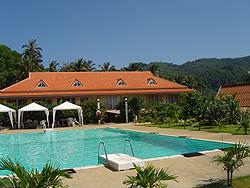 During this program, you will deal with real life situations in our 5 Star Dive Centers in Kata and Karon Beach. Practical diving experience will be gained aboard our daily excursion boat to the various dive sites around the island of Phuket. 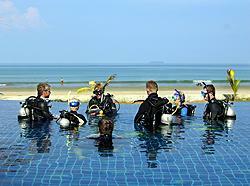 This course is the logical next step to our 'Dive Leadership' and 'Resort Diving Management' courses. This course applies practical, sensible business principles to the operation of a modern diving facility. You will learn to make decisions based on actual facts and circumstances, rather than on hope, faith and charity! If you think that your job is to teach and not to sell...think again. In the dive business, everyone sells... including full-time, part-time, and independent instructors. Still, very few people want to be seen in the role of a 'salesperson'. Positive Approach Selling teaches the philosophy that selling doesn't have to be a pushy, manipulative process that many people imagine it to be. You'll learn to identify different types of personalities, including your own, and decide which sales approach is right for a given situation. When you choose more than one of our courses you will benefit from our IDC Packages. To help us plan and prepare as much as possible in advance, we appreciate early bookings. You are always welcome to upgrade your program during the IDC and receive the full benefit of our package system.